San Diego Zoo Officials Ban "Southside"
"I didn't come all the way from Sumatra to be ignored for Southside" - Anthony the Tiger. .. ...Claiming the new crime novel by Michael Krikorian was inciting "gross animal ignoring", San Diego Zoo officials took extraordinary measures Tuesday and banned the crime writer's critical acclaimed "Southside" from the beloved tourist attraction. "Too many people were reading the book and just walking right by the rhinos, hippos, tigers and others beasts and that's not fair to the animals," said Zoo official Christi Carreno. "Southside will no longer be allowed in the zoo. And, no, this is not a form of censorship It's simply pro-animal feelings." 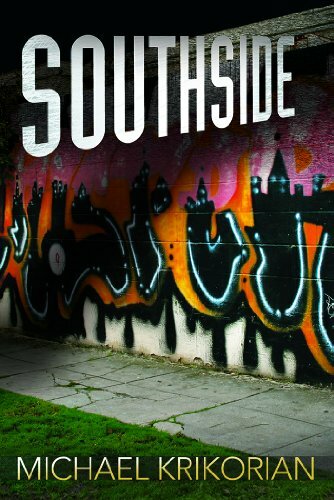 Hailed as the best novel ever about a crime reporter covering street gangs, "Southside" chronicles the exploits of fictional journalist Michael Lyons as he explores Los Angeles' roughest neighborhoods. 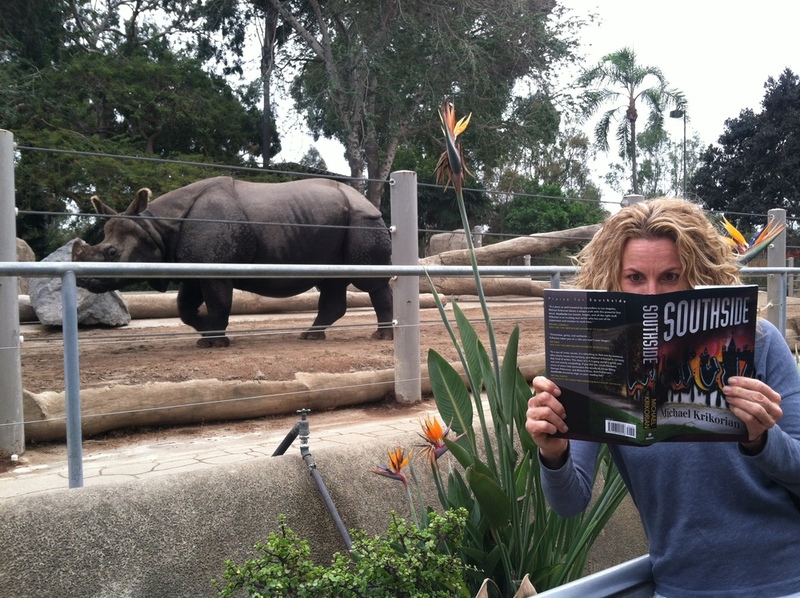 The book began showing up at the world famous San Diego Zoo last week and immediately caused problems. "I took a bath, shampooed my coat, even used that Paul Mitchell conditioner one of the zebras gave me, but so many visitors walked right by with their snout in that damn Southside book," said Fatbiscuit, a hippopotamus from the Eastside of Uganda. But, it was an Indian rhinoceros who lead the movement to ban Krikorian's novel by starting a hunger strike this past weekend. The rhino, Calcutta Slim, said he would refrain from any tandoori-based snacks until the book was banned. Other animals quickly joined the hunger strike, including the lions who said they would not eat humans until Southside is banished. Monday their demands were met.